A few years ago gaming laptops were bulky, heavy, expensive and couldn’t even get close to the performance of a regular PC, but a lot has changed in the meantime. 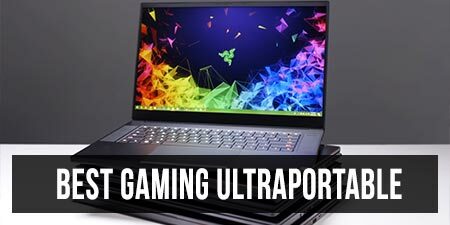 These days the market offers not only powerful desktop replacements, but also a very interesting niche of gaming notebooks with compact form-factors: the so called gaming ultraportables. For starters, a gaming ultraportable is a laptop with a thin and light construction, motorized by the most powerful and at the same time efficient hardware platforms available at a given point in time: namely the Intel Coffee Lake CPUs and Nvidia Pascal dedicated graphics as of right now. These computers are not just meant for gaming, they’re also solid work companions that can tackle all sorts of demanding loads, but cramming all this hardware in a compact body requires complex engineering and R&D, that’s why the better such thin-and-lights don’t come cheap. 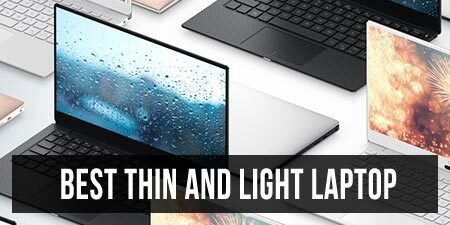 We gathered a selection of thin-and-light gaming laptops in a different article, and in this post we’ll talk about what you should generally expect to get on good such notebooks in the second part of 2018, where these devices shine and the corners the manufacturers have to sometimes cut to make them possible. The overall craftsmanship quality is crucial on an ultraportable that you’re supposedly going to carry around in your backpack or bag everyday, because if that’s not the case, you should rather consider one of the full-size desktop replacements out there instead, with their fewer compromises. Most OEMs have stepped up their game and use aluminum and other sorts of metallic alloys in their builds, resulting in some toughly built computers with sturdy lids, solid keyboard decks and reliable hinges (the Razer Blade or the Dell XPS 15 lines come to mind), despite the fact that these devices have gotten thinner and smaller over the years. In fact, you can also tell that by the bezels around their screens, with some of the nicer 2018 models getting near bezeles displays. Durability is something we’ve seen pushed forward more and more in ads, as people expect their computer to last for a long term and age nicely when paying a premium. Quality control is still a serious issue with these complex machines, but for the most part it doesn’t concern the builds. Some manufacturers still choose to go with partially plastic constructions for their gaming ultraportables (like Gigabyte or MSI) in order to save on weight and costs. It’s good the have alternatives and different options with similar abilities in a larger price-range, but if you choose to go with one of these I’d advise you to use sleeves and pamper them well during transport, as the compromises in sturdiness can lead to bent frames or cracked screens. There are a lot of options and routes to go with when it comes to the screen on your laptop. You have to consider things like resolutions and refresh rates corroborated with the hardware specs, the brightness/contrast and color capabilities of each particular panel, whether you want touch or not, the response times corroborated with the panel type and also their efficiency, if battery life is important to you (with daily use, not necessarily while playing games). When it comes to the resolution, I’d probably stay away from a 4K panel on a gaming ultraportable as these offer limited refresh rates (60 Hz in most cases), are expensive, power hungry and current games require a lot of processing power to play nicely at this level. There are however some very good wide-gamut 4K panels out there and I’d probably go with one of these on a 17-inch computer that I’d primarily use for work, and not primarily for gaming. For gaming I’d stick to a FHD panel or a QHD – QHD+ (or the likes) for the higher specked options with top-tier graphics, if available. I also prefer IPS panels over TN options for their better viewing angles and contrast in most situations, but those of you that play fast-action games might favor the faster response times of some of the higher-tier TN panels out there. The refresh rate is also very important when it comes to the gaming experience. There are already laptops with 120 Hz or even 144 Hz screens in stores, and I expect to see more and more in the months to come. If you choose to go with one of these I’d also make sure they come with GSync, as it makes gaming much smoother and cleaner. GSync is a technology associated with Nvidia’s graphics cards and is explained in the following clip. AMD offers a similar technology called Freesync, but their graphics solutions are pretty much non-existing in the ultraportble niche as of mid 2018. Panel aside, there’s also this trend of creating computers with smaller and smaller bezels spreading to ultraportable gaming laptops as well, with devices like the MSI GS65, the Dell XPS 15 or the Gigabyte Aero 15x. This is made possible by the smaller footprints of these devices, lowers their weight as well, and is overall a very nice trend, albeit it can spur issues from cramming the components inside a tighter space. Keyboards are crucial on a laptop. 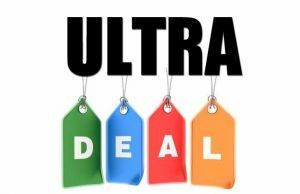 With ultraportables you’ll mostly get some sort of short-travel keys, but these have gotten good over the years and offer a solid typing experience, as well as the reliability required for long term use. Some OEMs have joined forces with mature keyboard manufacturers in order to improve on their offers, like MSI and Steelseries for instance, while others pushed technology further and offer low-travel mechanical keyboards on their ultraportables (like Acer with the Triton 700 series). We should also expect to see other implementations in the future, like for instance the maglev keyboard that’s already available on some ultra-portables. As of 2018, the vast majority of the keyboards available on premium gaming ultraportables are RGB backlit and allow for individual control of each key. OEMs also implement technologies like anti-ghosting, n-key rollover, as well as more durable scissors and domes meant to last longer, but are also constantly tweaking the layouts and overall key shapes in order to make them more ergonomic and step up from the crowd, so they can catch the attention of potential buyers. 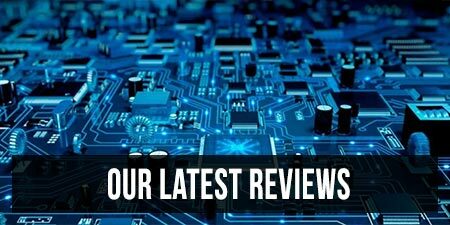 Not all the implementations are a success, and you’ll also have to consider your taste and particularities when deciding which keyboard best suits your style, that’s why I’d advise you to go through the existing reviews or better yet, check out the products in person if possible. 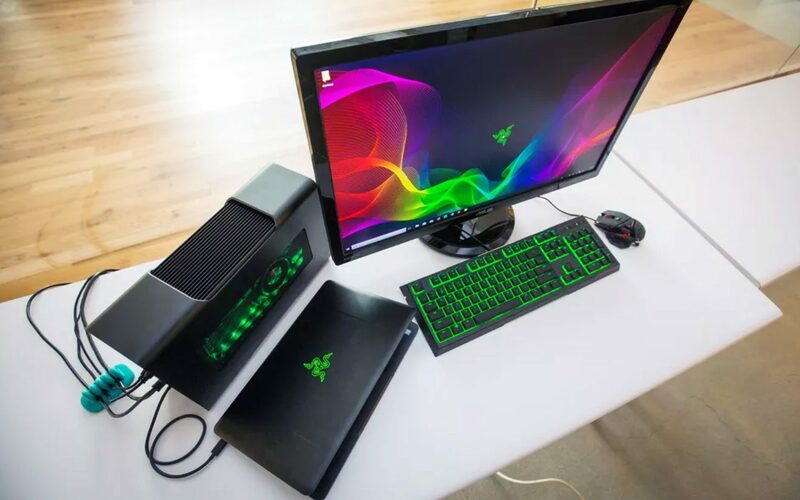 Although the gaming ultraportables are fairly thin and light, most don’t compromise on the IO or connectivity, like many of the non-gaming ultraportables do these days. You can still expect to need an adapter for wired Internet for instance, lack an SD card-reader on some options or perhaps get just 2 or 3 USB slots, but for the most part these aren’t deal-breaking compromises. hi-fi headphone output with internal DACs (optional) – amplify the audio coming through the 3.5mm jack and improve your gaming experience with high-end headphones. As of 2018 you’ll want a gaming ultraportable built on Intel’s Coffee Lake hardware platform and Nvidia Pascal graphics, as they offer the best balance between performance and efficiency. Nvidia’s Volta next generation of graphics chips should be available by the end of the year, and we’ll update the post at that point, but until then the Pascal chips are still the ones to get. With Coffee Lake Intel offers six-core twelve-thread processors (Core i7s and i9s) that greatly outperform the older KabyLake quad-cores in complex multi-threaded loads, if properly implemented and cooled. The extra cores and threads don’t have a massive impact on the gaming experience, which is still mostly influenced by the GPU, but every bit helps and Coffee Lake also comes with a few extras, like an improved chipset and support for faster RAM. 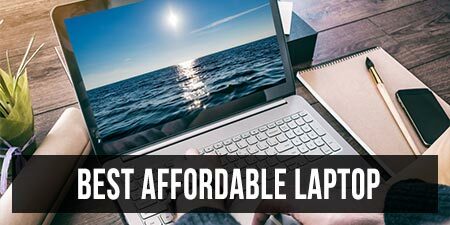 That’s why if I were to buy a gaming laptop in the second part of 2018 I’d go for a Coffee Lake configuration, unless I’d be shopping on a tight budget, in which case you might find some nice deals on older KabyLake notebooks that could give you better value for the money. As far as the graphics go, gaming ultraportables employ Nvidia Pascal solutions. I’d look at GTX 1050 Ti and GTX 1060 configurations if aiming for FHD gaming and have mid-range budget, but there are also some GTX 1070 and 1080 implementations that can offer a solid QHD+ experience. 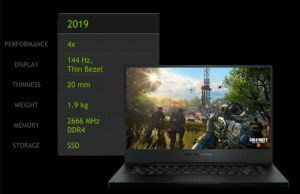 Pascal has been around for more than a year now, but a more recent update targeted primarily at thin-and-light gaming notebooks is what Nvidia calls the Pascal Max-Q implementations. These are basically lower-TDP and lower-performance variants of the full-speed chips, with optimized performance per watt, so they can be implemented in designs that would otherwise not be able to handle such chips. 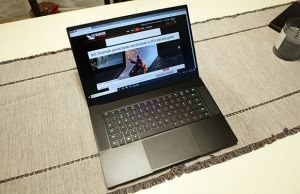 The Asus Zephyrus G501 and Acer Triton 700 are top tier exponents of this principle, compact and thin 15-inch gaming laptops that include up to Nvidia 1080 Max-Q graphics. You can read all about them in our reviews. 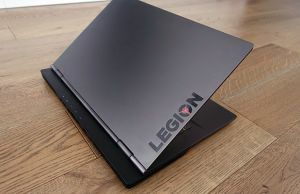 Max-Q is also implemented on computers with more affordable price tags, like the MSI GS65 Stealth Thin, Razer Blade 15, Asus Zephyrus S GX531 and the Gigabyte Aero 15X which get GTX 1070 Max-Q graphics, or the much awaited Dell XPS 9570 update (1050 Ti Max-Q). Memory and storage options matter as well. Ideally you’ll want a computer with 16-32 GB of RAM and upgradeable DIMMs, but with the thinner form-factors the RAM is nowadays soldered on more and more SKUs, which means you should make sure to get the amount that satisfies your needs from the beginning. As for storage, the target are full-speed NVMe implementations. Some laptops still offer 2.5″ storage bays as well, but with the space constrain, most ultraportables rely solely on M.2 storage and some even offer two or three slots for fast or redundant RAID configurations. M.2 only implementations also allow space for a bigger battery, which is one more reason I’d opt for one of these. If you’re into an ultraportable you’ll probably expect to play games while on the go, on battery, and there are two aspects to keep in mind here. First of all, gaming requires a lot of energy and thus you’ll want as big of a battery as possible. But the battery needs space and ads weight, so OEMs are looking for some sort of middle ground between all these variables. We are however seeing more and more 14 and 15 inch laptops with 70-90 Wh batteries though. The other important aspect to consider is the fact that the faster the graphics inside a laptop, the more power it’s going to need and the more likely the possibility of not running at full potential on battery, but only when plugged in. That means you shouldn’t get a 1080 gaming ultraportable and expect it to run at full capabilities on battery, that’s just not physically possible right now. In order to somewhat mitigate this aspect Nvidia developed software solutions that work in conjunction with their graphics cards and optimize the performance on battery. Among them there’s Battery Boost, which is nowadays part of the GeForce Experience suite and automatically optimizes games for longer battery life by lowering their details and capping the framerates. By default they’re capped at 30 fps, but you can adjust the limit between 30 to 60 fps . Aside from cramming all the components and technologies in their compact chassis, the other big challenge in creating good ultraportables is making sure the hardware works as intended and doesn’t throttle or run into other performance limitations. The cooling system has a crucial role in this. If you’ll look at the higher-end ultraportables like the Zephyrus, the Triton, the Blade and so on you’ll notice each get complex cooling systems with all sorts of heat-pipes and quirks to allow for better airflows. As a general rule though, most ultraportable gaming laptops tend to get very hot with prolonged loads, and the vast majority of them suffer from some sort of hardware/power/thermal throttling out of the box, which can be mitigated to some extent with undervolting and repasting the CPU/GPU. The first is simple and safe, the later is more complex and will void warranty in most cases, so beware! The fans can also get loud on most ultraportables while playing games, although this has changed with the Max-Q implementations, as one of its requirements is for the fans to not go over 40 dB in full blast. WhisperMode is the technology in charge to optimize fan behavior based on load, and when enabled in the Geforce Experience app, the software allows to set a target frame-rate for each optimized game and adjust the resources allocated based on this setting. In other words, if a game is set to run at 60 fps, but the hardware is able to run it at 100 fps, the system automatically adjust the GPU’s frequencies to hit the targeted framerate, and this way the cooling system can keep things at bay while the fans spin slower and quieter. WhisperMode also has an effect on battery life. The clip below further explains how WhisperMode works. While we’re here, we should also mention an older, but highly useful and pretty much omnipresent Nvidia technology: Optimus. This is implemented on laptops with dual-graphics solutions and allows to seamlessly switch between the nVidia eGPU and the Intel iGPU based on loads. The Nvidia dGPU is activated with games or benchmarks, while with daily use scenarios like browsing and watching movies the software switches the Nvidia GPU off and the system relies entirely on the iGPU, and thus runs more efficiently. As a side note, Optimus and GSync don’t work together, as the integrated Intel GPU is disabled on laptops with GSync capable screens. When you draw the line, what you should take out of this generalist article is that buying an ultraportable gaming laptop in 2018 is not as simple as it might first seem, as there are many criteria to consider and quite a lot of good options to choose from, but it’s not rocket science either if you’re willing to do a little bit of research. I advise you to start your quest by answering a few simple questions: what do I need the laptop for, how portable does it have to be, how much can I spend and what are the main quirks I just can’t live with. Based on these you can narrow down your options and like already mentioned several times in the article, I’d primarily focus on laptops built on 8th gen Intel Coffee Lake platforms with Nvidia 10XX graphics. It’s hard to create a ideal gaming ultra-portable in 2018 profile, but the best buys would include an i7 CPU + GTX 1060 or GTX 1070 Max-Q GPU configuration with NVMe storage, a good RGB keyboard, a bezeles IPS display with high refresh rates, and a battery of at least 70 Wh. The MSI Stealth Thin GS65 and Gigabyte Aero 15x fit most of these requirements, and I’d also expect an updated Razer Blade in here soon enough. As for FHD gaming in a more affordable package, something like the Dell XPS 15 9570 or an updated Asus Zenbook Pro should be on your list. That pretty much wraps up this article, but if you have anything to add or need help picking up your next buy, get in touch in the comments section, we’re around and eager to help. Hello Andrei. I'm in a phase of research for my new laptop, but I'm a little bit confused. I would appreciate if you give me your professional help on that. I will try to explain what I'm looking for in details and as short as possible. CPU: Intel i7 8th Gen.
Chassis and weight: Should be with average+ quality of the chassis and max of 2.3 Kg of weight. I can deal with if it's not very-very loud. Display: Good quality. I don't need 4k or touch. Keyboard: RGB backlit. Comfortable for typing (coding). Example of very bad keyboard for me is Asus Zephyrus G501 where keyboard is on the edge. I will give you example of 2 models which I liked very much. Visual Studio, MSSQL, Spotify, Chrome + Firefox (at least 25 tabs), MS Word, PDF + other programs. I'm looking for TOP 3 laptop, since the last time I bought one was 2010 (Dell XPS 1645 with Intel i7 1st Gen) and with Samsung EVO 850 SSD I still use it and it is working pretty good. My idea is that I want to buy high-end laptop for long term. I hope you can help me for my choice. I really liked the articles which are written here, they are very useful! Yeah, the Blade is an option. There's an XPS 9570 update for 2018, it's just been released in the US. Pretty much the same as the 9560, but with six-core CPUs. You should also consider the 2018 MSI GS65 and Gigabite Aero 15X, although each have their issues. Asus will also have an updated Zenbook Pro, but given the performance limitations of the previous models, i don't know how it will handle the six-cores. Not really. It's hard to put a 1080 inside such smaller bodies, and probably unrealistic right now. The Zephyrus and Triton have issues keeping temps at bay, even with their concessions in design and size. The 1070 MQ is the best you can get with smaller laptops right now, like the MSI GS65 and Gigabyte. But hey, if not in hurry, we might see new skus at Computex in early June.